The news, including CNN, has been covering, in detail, the events of the recent Orlando office shooting massacre, in which a retired Army veteran murdered five of his fellow employees, then killed himself. How do these tragic events continue to occur? “This is a gun problem,” and “No, this is a mental health problem,” are the usual arguments whenever there is a mass shooting in this country. But what happens, financially, to the surviving family members of the murdered employees? Where do they turn for financial compensation to help with medical bills, funeral costs, loss of consortium, and loss of a provider? 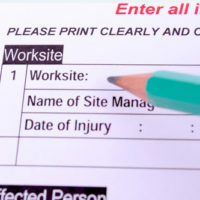 Do they file for workers’ compensation, sue the gunman, or sue the employer for negligence? Compensation to be used for vocational education for the surviving spouse (in the event of a death). Loss of consortium (wrongful death). Obviously, one may recover greater damages in a personal injury lawsuit than a workers’ compensation claim. One of the elements of damages is that in a personal injury or wrongful death lawsuit, one may recover for pain and suffering and loss of consortium, which are not available in a workers’ compensation case. Pursuant to Florida Statute §440.11, an injured worker or surviving spouse may sue an employer in Tort 1) if an employer is required to secure workers’ compensation coverage and fails to do so; 2) the employer commits an intentional act of harm; or 3) the employer engaged in conduct that the employer knew, based on prior similar accidents or explicit warnings explicitly identifying a known danger, was virtually certain to result in injury or death to the employee, and the employee was not aware of the risk because the danger was not apparent and the employer deliberately concealed or misrepresented the danger so as to prevent the employee from exercising informed judgment about whether to perform the work. The West Palm Beach attorneys of the Celeste Law Firm can help you decide the best option for you.